Icecast Hosting / Online Radio In 5 Minutes. Broadcast Live and effortlessly using a ICEcast Hosting Servers. You can quickly and easily stream your station all over the world whilst keeping track of who is listening and where they’re from. 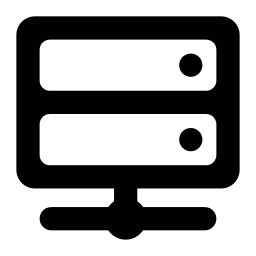 ICEcast is a streaming server which allows radio stations to effectively broadcast audio online (this is known as webcasting). It is powerful and stable, meaning you can throw all of your internet radio traffic at it without having crashes or other problems. Audio listeners can access the stream through any player. ICEcast has mountpoints meaning and automatically transfers listeners from the Auto DJ to the Live stream and back again without needing to manually turn anything on or off. ICEcast is actually very simple to use. 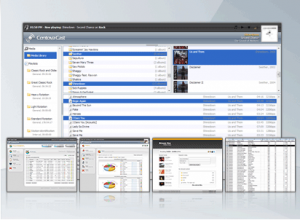 You can use free software like Winamp to broadcast, which can be installed on any internet connected Windows computer. There are also solutions available for Apple and Linux users. You can also consider these other tools compatible tools Broadcasting Software – Audio Streaming. ICEcast Hosting Servers is similar to Shoutcast in many ways, however allow you to stream using MP3, Ogg, Aac+ or Opus supported media. All Icecast Hosting Packages will include Free Auto DJ. Our autodj system will allow you to upload your mp3’s to the system and to be able select multiple playlists and stream 24/7 without having your computer on all the time. Icetcast Unlimited Bandwidth Plans are available, Broadcast 24/7 to thousands of listeners and never get billed for your bandwidth usage. No Hidden Fees. 128kbps Plans – CD quality music – It will provide you a excellent audio CD quality, a broadcast that deliver very detailed sound and clear.